The Memorial Candle Program has been designed to help offset the costs associated with the hosting this Tribute Website in perpetuity. Through the lighting of a memorial candle, your thoughtful gesture will be recorded in the Book of Memories and the proceeds will go directly towards helping ensure that the family and friends of Wilson Mathes can continue to memorialize, re-visit, interact with each other and enhance this tribute for future generations. Leon “Wilson” Mathes, 75, of Carlisle, widower of Carolyn Jean Smoot Mathes, died Sunday, May 13, 2018 at his home. He was born May 31, 1942 in Cynthiana, Kentucky. He was a son of the late Robert Andrew and Laura Grove Mathes. 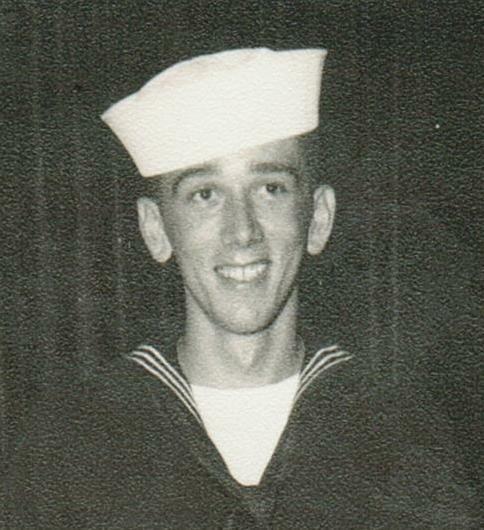 Wilson graduated Nicholas County High School in 1959 and enlisted in the United States Navy the same year. While in the Navy, Wilson received certification in Advanced Aviation Electronics and CW Code Operation. During his tour of duty, he was stationed in Iceland and Newfoundland. Wilson was assigned to the Airborne Early Warning Squadron Eleven, Argentina. Within his flight crew he was responsible for the electronic equipment, radio and Morris Code communications. Upon completion of his enlistment terms, Wilson was honorably discharged. He continued to utilize his radio communication skills during his 41-year career as an electrician and well renowned radio communication technician. Wilson was an ordained minister and an active member of the Indian Creek Baptist Church where he had served as a Sunday School Teacher and Treasurer. Wilson served the Lord, our country, and his family faithfully. He is survived by a daughter, Kathy (Darrell) Myers, Carlisle; a son, Grant (Cathy) Mathes, Lawrenceburg; three granddaughters: Staci Myers (Daniel Eubanks), Laura Kate Myers, and Elizabeth (Chris) Brumagen; two grandsons: Michael (Megan) Mathes and James Mathes; nine great- grandchildren: McKenzi Myers, Ashley, Nathaniel, and Daniel Brumagen, William, Isabelle, Matthew, Robert, and Landon Mathes; special friends: Tommy Crawford, Timmy Thornsburg, Tom Moore, and Holly Becker. Wilson is preceded in death by two brothers, Bill and Buford Mathes. Funeral services will be held at 11:00 a.m. Thursday, May 17, at the Indian Creek Baptist Church, Cynthiana with Reverend Tom Moore officiating. Following the service, a Military Rights burial will be held in the Carlisle Cemetery. Casket bearers will be Virgil Dryden, Kevin Tolle, Grady Perry, Jeff Doyle, Tommy Crawford, and Timmy Thornsburg. Visitation will be from 5:00 to 8:00 p.m. Wednesday at the church. Memorials are suggested to Indian Creek Baptist Church, c/o Kevin Tolle, Treasure, 110 North Elmarch Avenue, Cynthiana, KY 41031. To send flowers to the family of Wilson Mathes, please visit our Heartfelt Sympathies Store.